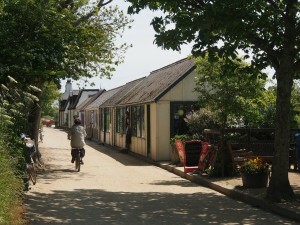 Welcome to our Shopping on Sark page. From fridge magnets to food shop delivery days this page will help you find what you want on Sark before you even get here. For opening times out of our peak season please contact the establishments directly, Thank you. In addition to the tea garden, Caragh’s Chocolates sells a wide range of hand-made chocolates such as ganaches, truffles, pralines and manons. You won’t be able to resist the rich fresh local Sark Cream combined with the purest, most delicious chocolate. Everything for your home, garden and office as well as mobile phones, phone top ups and fuel. Also home to our Sark Post Office. Located on the West end of the Avenue. Behind the Avenue Workshop. Lorraine specialises in thrown pieces, mostly tableware, and works with stoneware clay and glazes. She also makes her own beautiful silver jewellery. Situated to the left of the Collinette when you arrive from the boat. There are no Sark stamps so each letter is franked by hand. Sark Post Office is also the official Bureau de Change on the Island. Open Monday to Saturday 8:30am – 5:00pm & open some Sundays. Local and British contemporary hand crafted items, mixed media and pictures. Hand crafted silver and rainbow glass jewellery designed and made in our studios on the magical Island of Sark. 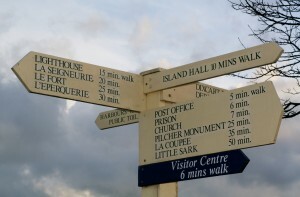 The Island’s official information office, helping with all aspects of planning your holiday or day trip to Sark. We are also handle lost & found, the hiring of mobility scooters, comments and complaints, booking guided walks, boat trips and much more. Find us at the west end of the Avenue, take the left hand folk after the Post Office. We are next to the Sark Prison! We stock a wide range of local interest books, cards, photo prints, calendars, post cards, souvenirs, games and more. Pop in for a browse. If you are a self-catering or campsite guest, please be aware that bread, milk and Sark butter or cream may need to be pre-ordered to avoid disappointment. Shops have reduced opening hours in the winter months. All of the essentials and more. Cash back up to £50 is available at Foodstop when you spend more than £5 in one transaction (Debit/Visa only). They will deliver orders on Tuesdays and Fridays. Winter hours 7.45am till 5pm Monday to Friday, 9am – 5pm Saturday and 10am – 1pm Sunday. Grocery shop situated opposite the Methodist Chapel. They sells a variety of food and household products including freshly caught mackerel, lobsters and other fish. They will deliver every day except Sunday. Cash back available when spending more than £5 in one transaction. Open Monday to Saturday 9am – 6pm & 10am – 3pm Sundays. Located on the Avenue. A professional and friendly locally owned hairdressers & beauty salon. The perfect place to be pampered while on holiday: full colour, re-style, highlights, lowlights, manicure, pedicure and more. Also available for weddings & special occasions.